Indian ink, pastel, charcoal, watercolours and gouache…Michel CLOS chooses nothing but the finest materials to recreate the souls of his myriad of subjects. 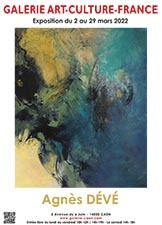 He captures their very essence with vivid elegance and confers them an authenticity that blends with his artistic sensitivity and consummate skill. Identical sensations are to be found in urban scenes where dynamism and balance combine to bring life to characters depicted in simple yet pure and expressive forms. 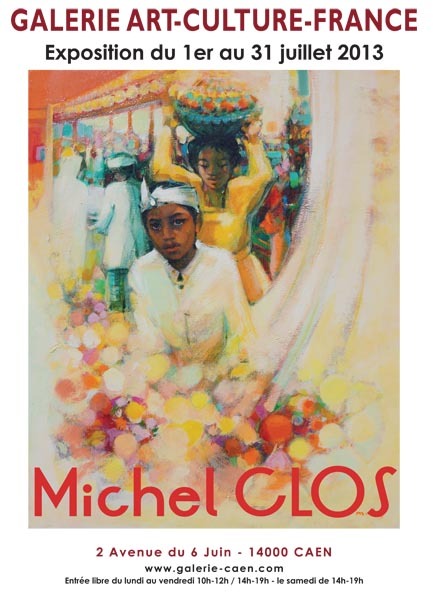 Each scene powerfully retains Michel CLOS' attention, be it the picturesque settings of the Manche or the colourful magic of Martinique, Vietnam or Africa, which are enhanced with multi-layered compositions, each one remarkable for its realism and balance. The artist never loses himself in decorative tourism, but is able to recreate the atmosphere and spirit of fabulous moments passed in a charming setting. His message cannot be found in the rigour or drama. Instead he extols the happiness felt in serene and pure moments with the help of his talent for the natural and real that extends to his excellent still-lifes. All these works are steeped in light and colour, greatly adding to a style of painting that is so full of finesse and so engaging; a style belonging to a traveler and artist full of brilliance, poetry and love for his fellow human beings and their countries, wherever they are.